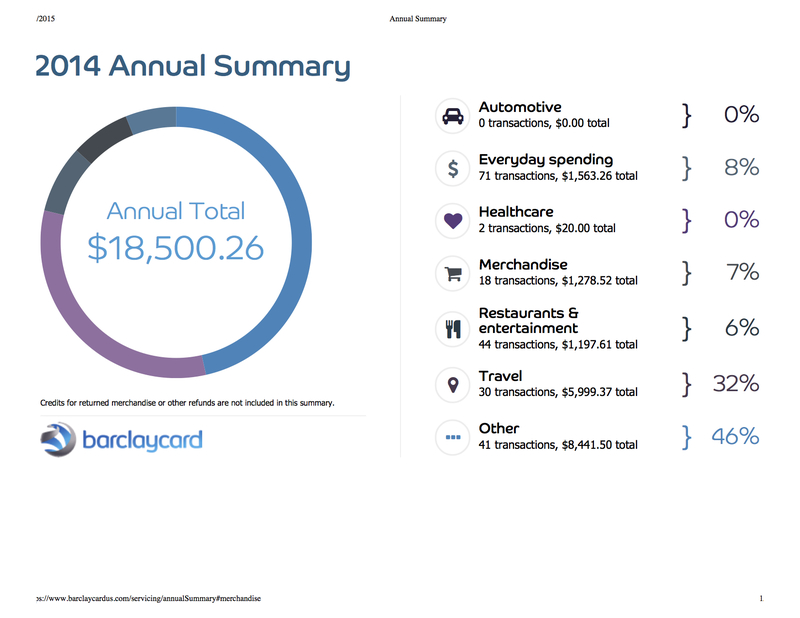 Barclaycard sent me my 2014 spending summary yesterday and I found it very illuminating. 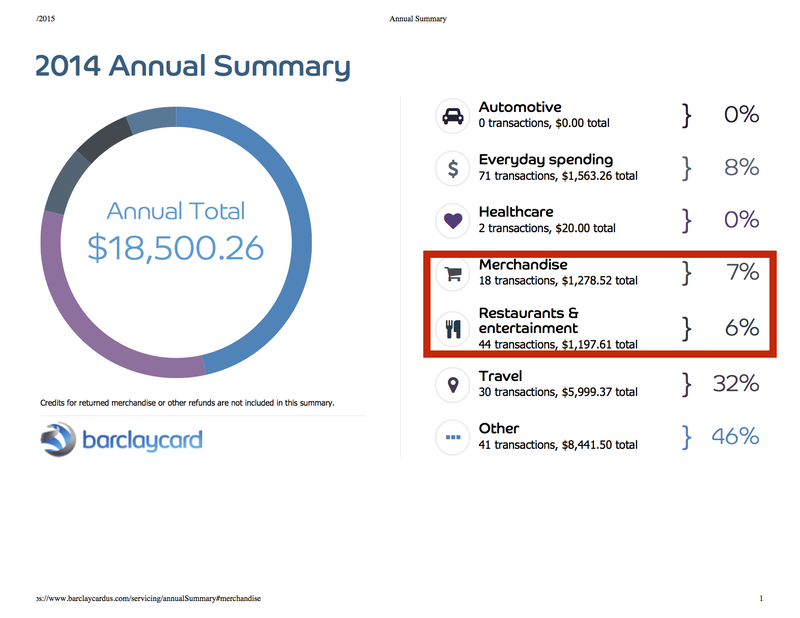 41% of everything we spent on that card in 2014 was for travel. That includes flights, hotels, apartment rentals, airport shuttle buses, etc. A handful of items in the “Other” category were mislabeled and should have been in the “Travel” category. Those factored in, the travel category reaches 40.8% of the total spend. Now, this is only one credit card of many so it’s not like 40% of everything we spent in 2014 was on travel, but still, this card is pretty representative of our spending and reveals our not-so-secret strategy for long-term travel: we prioritize it. We could afford to move to London, the most expensive place I’ve ever lived in, while we were planning our wedding half a world away because we prioritized it. And for the sake of full disclosure, we weren’t rich at all. Alexis quit her job at National Geographic so we could move and we both lived off my $44K (USD!) salary. We could even afford to take a trip to Switzerland for my birthday during that time to snowboard… because we prioritized it. 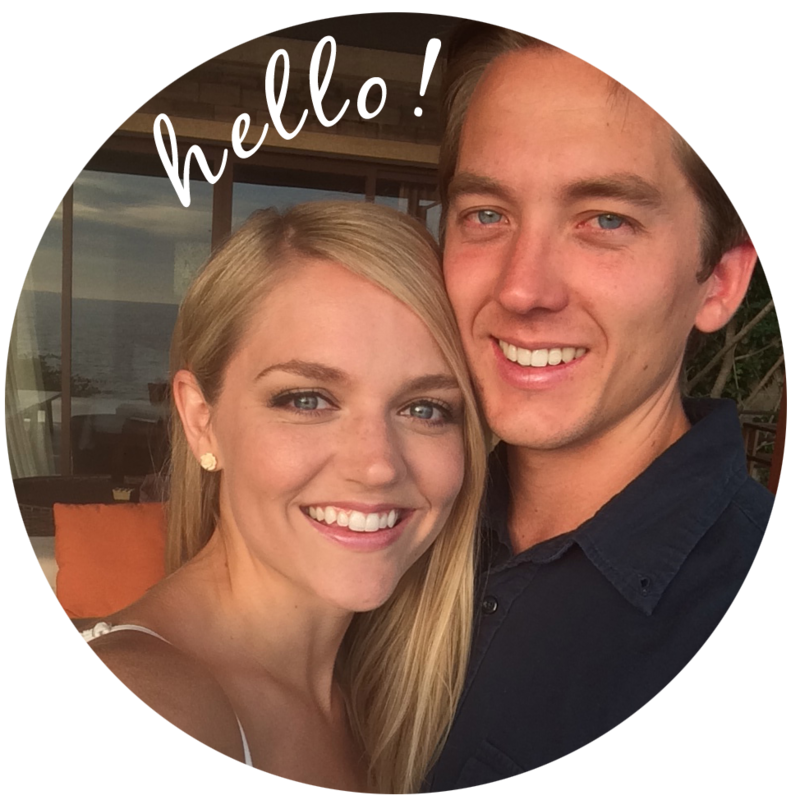 We could afford to get married in Hawaii… because we prioritized it. We could afford for me to quit my job as well, move to Thailand and start afresh… because we prioritized it. Now, in less than two months, we will be able to afford living in one country every month because, surprise, surprise, we will prioritize the travel. The truth is, there is no secret to this. We want this life, so we do what we have to do to make it happen. To prove this point, that same year-end summary showed that our collective spending on restaurants, entertainment, and merchandise totaled a meager 13%. And that even includes some wedding expenses! We don’t eat out all the time, we don’t go to concerts or events, and we don’t shop for new clothes. That may sound like a deprived life to some people, but we choose to live this way because it enables us to travel. And sure, sometimes we wish we could do those kind of things more often, but ultimately, it’s not worth it to us. The bottom line is that anything you want is attainable if you make it a priority. 1. Get this credit card. The Barclaycard Arrival Plus World Elite MasterCard is a great introductory card for those looking to start collecting airline miles. Just a couple months ago, we used it to save $300 on our trip to Borneo, Bali, and Ko Lanta. 2. Realize that, in a general sense, traveling isn’t as expensive as you think. Consider our example: When we were living in Washington, D.C., our one-bedroom apartment cost $1,700 a month. In September, we’ll be living in Tuscany and paying less than $700 in rent. I’m kinda jealous of your upcoming month in Tuscany. We both get so excited thinking about it! Apparently the little village that the house is in has a bunch of wine festivals going on in September too. I’ve never been to Italy before so I hope I like it!